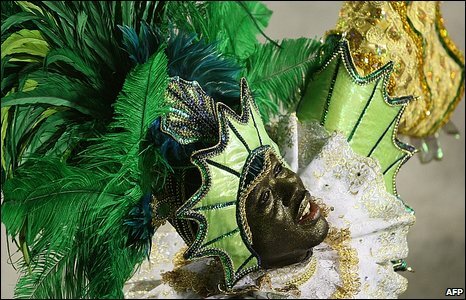 Dancing beauties wearing little more than sequins and smiles wrapped up two nights of Carnival parades by Brazil's top samba schools in Rio de Janeiro. 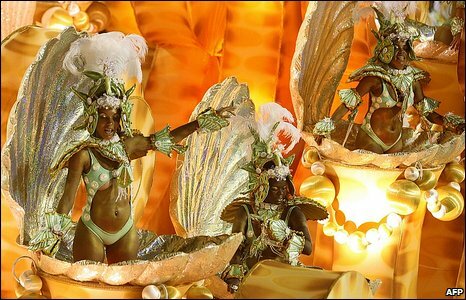 The spectacular floats and costumes take months to make and the competition between samba schools is fierce. 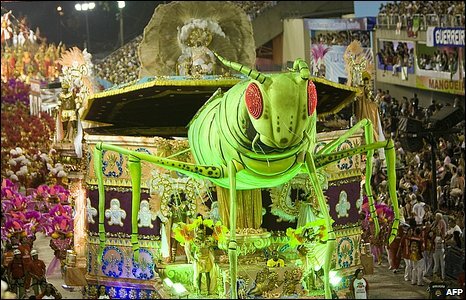 More than 70,000 people packed Rio's purpose-built Sambadrome for the traditional pre-Lent celebrations. 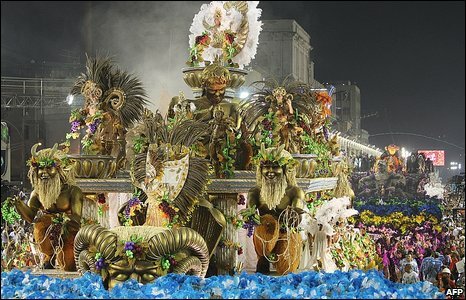 Festivities continued throughout the streets of the city. Elements being judged include choreography, timing and harmony. 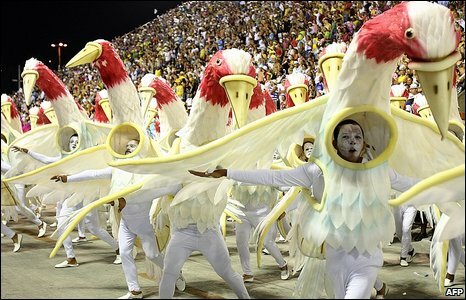 Each school has 82 minutes to herd its dancing, singing troupe through the 700m-long stadium. Themes this year included environmental protection and the technology of the future. The winning school will be named on Wednesday. No major prizes are given but the winners are celebrated across the country. 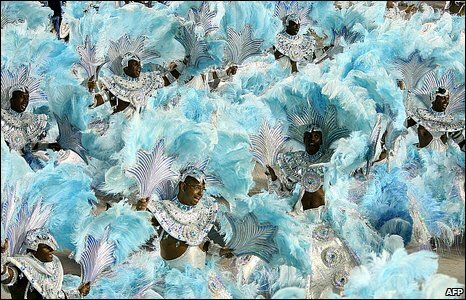 Security has been tight for the Rio carnival - although police say nearly 100 foreigners fell victim to robbers in the lead up to the event. Luxuriant costumes have to be painstakingly created and worn with care. A misplaced wing or feather can cost a school the title. In addition to strategically placed glitter, many performers wore enormous headdresses and dangerously tall high heels. The global economic crisis has led to fewer corporate sponsors for this year’s event, but observers say the spectacle was unaffected. 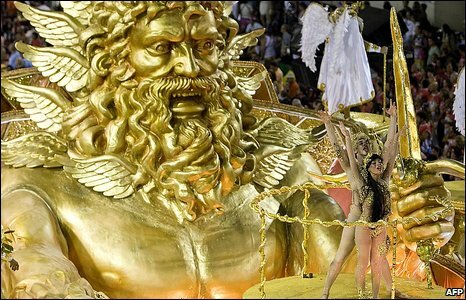 The government of President Luiz Inacio Lula da Silva donated $3m (£2m) to help the samba schools pull through.